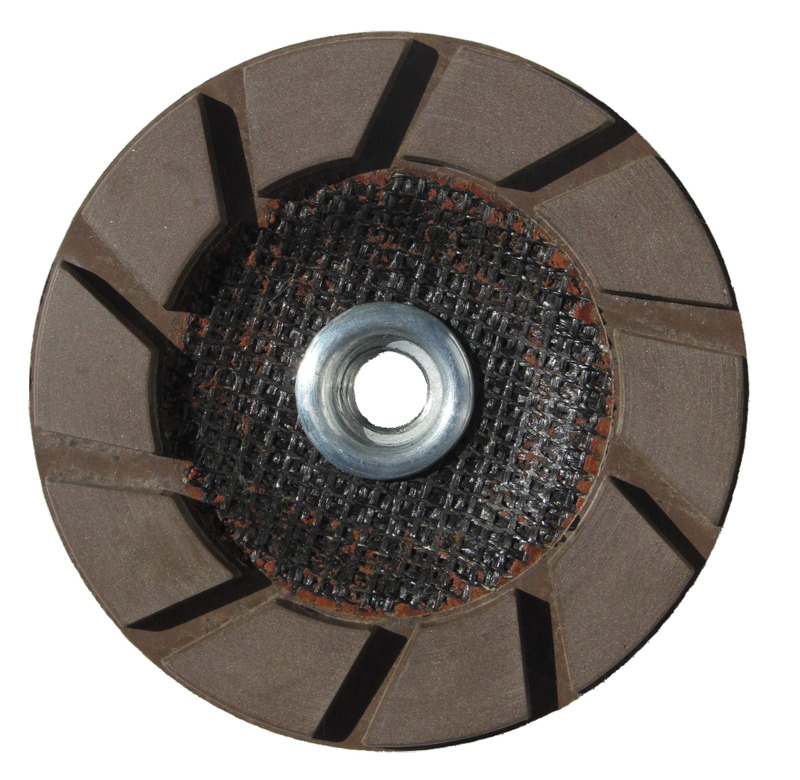 • Diamond Blades For Construction & Renovation. Applications: Diamond polishing requires the use of a polishing machine or variable speed angle grinder, where the speed can be brought down to around 2,000 - 2,500 rpm. 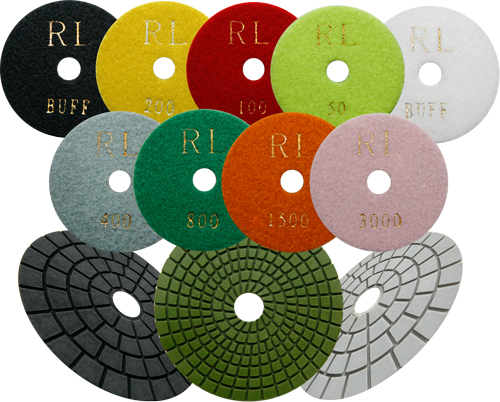 These wet polishing pads require a small amount of water to keep the polishing base on the granite wet. We also have dry use polishing pads, but if you can work wet, it should be easier to get a great finish and they will last longer. They work well on nearly all stone types, especially granite (worktops etc) and will also achieve excellent results on suitably cast concrete. These are premium diamond pads with 3mm of diamond depth and sufficient life for several square metres, not to be confused with low priced pads with just surface diamond for re-polishing small areas. The set provides all the discs needed to go from a reasonably cut or ground finish, starting with grade 50 and building the polish up to a bright buff finish. Premium grade pads with high performance diamond grain. Generous 3mm depth of usable diamond pad for longer life. Grades from 50 (coarse) to 3000 (ultra-fine), plus white and black buffing grades. 9 disc set includes all grades, 50, 100, 200, 400, 800, 1500, 3000, white buff, black buff. Water cooled, the surface should be kept wet. Use at approx 2,000 - 2,500rpm for best results. Also Available: We stock backing pads suitable for use with these discs. If you need to work dry, we stock dry use polishing pads. 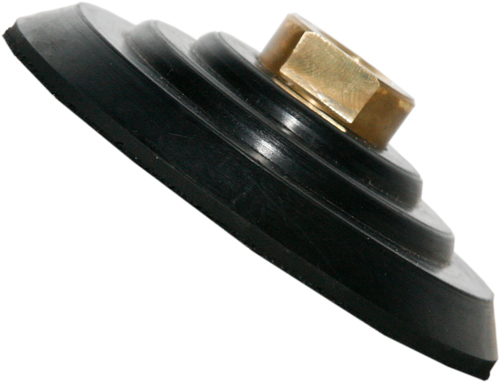 For floor polishing we stock 17" diamond pads for use on suitable machines. Tip: Before moving on to the next finer grade, wipe away the coarser sludge from the previous grade. These diamond pads are designed for dry use where the use of water would be problematic, such as in a pre-installed kitchen. Diamond hand blocks are stocked from grade 60 to 7500 enabling full capability from stock removal to near polish on granite, stone, tiles and glass. 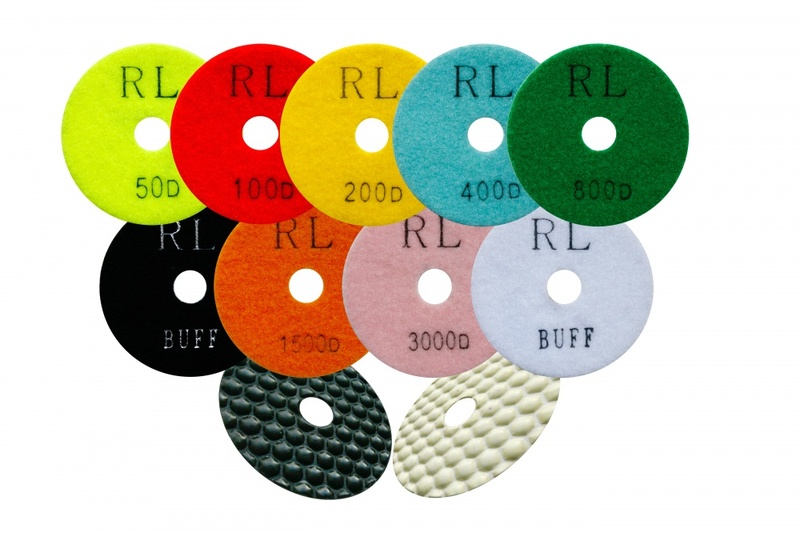 We offer backing pads suitable for both the wet and dry diamond polishing discs. New - Halo concrete polishing discs enable you to grind, smooth and polish concrete floors at low cost. Grades 30 to 400.